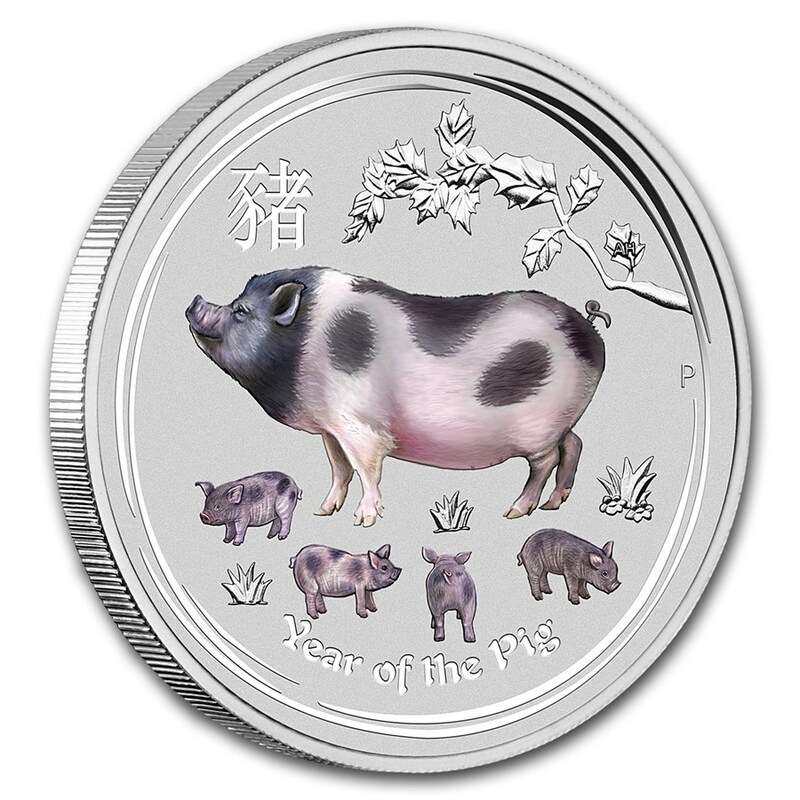 Celebrate the Year of the Pig with this gorgeous type set that includes four 1 oz Silver coins: Brilliant Uncirculated, Gilded, Colorized and Proof. 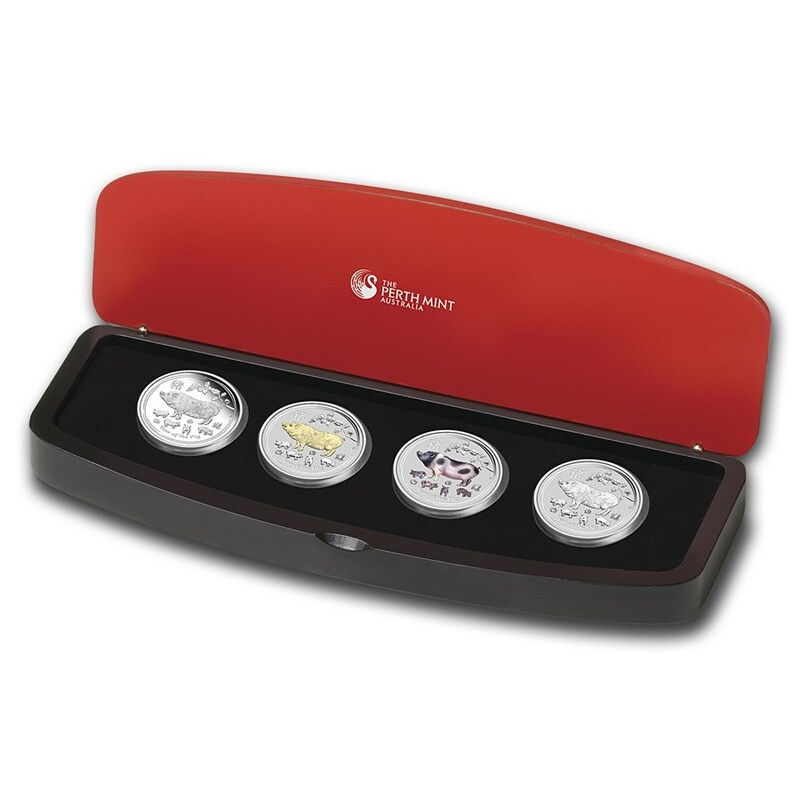 Each coin contains .999 fine Silver for a valuable set as well as a unique collector's item. Contains a total of 4 oz of .999 fine Silver. Comes in a black and red display case and illustrated shipper with a numbered certificate of authenticity. Limited issue of 1,500 sets. 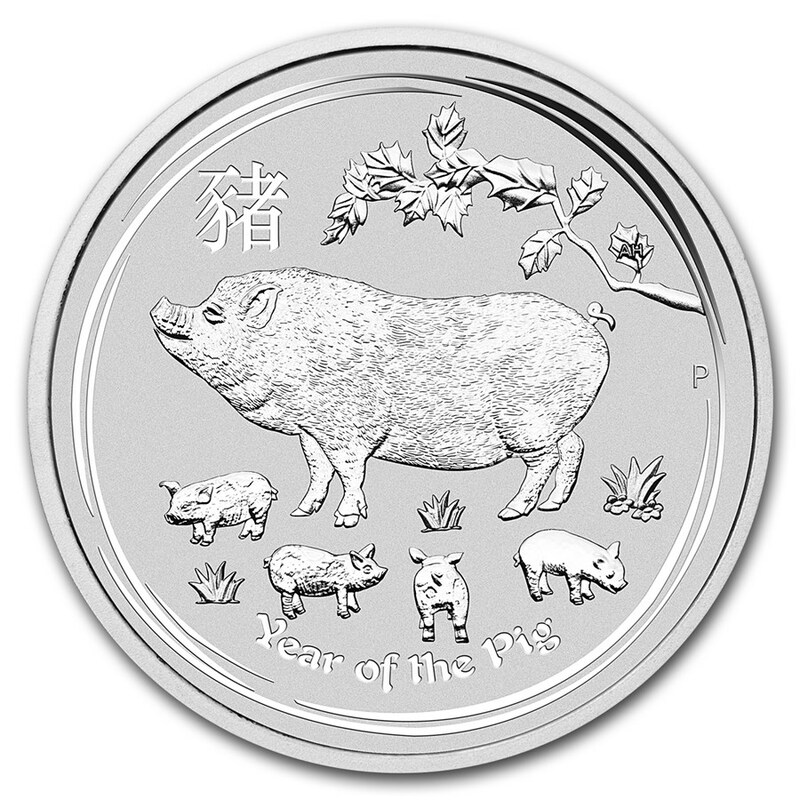 Reverse: The reverse of each coin features a representation of a domesticated or pet pig, which are typically pink with black markings, along with four piglets, amid stylized foliage. 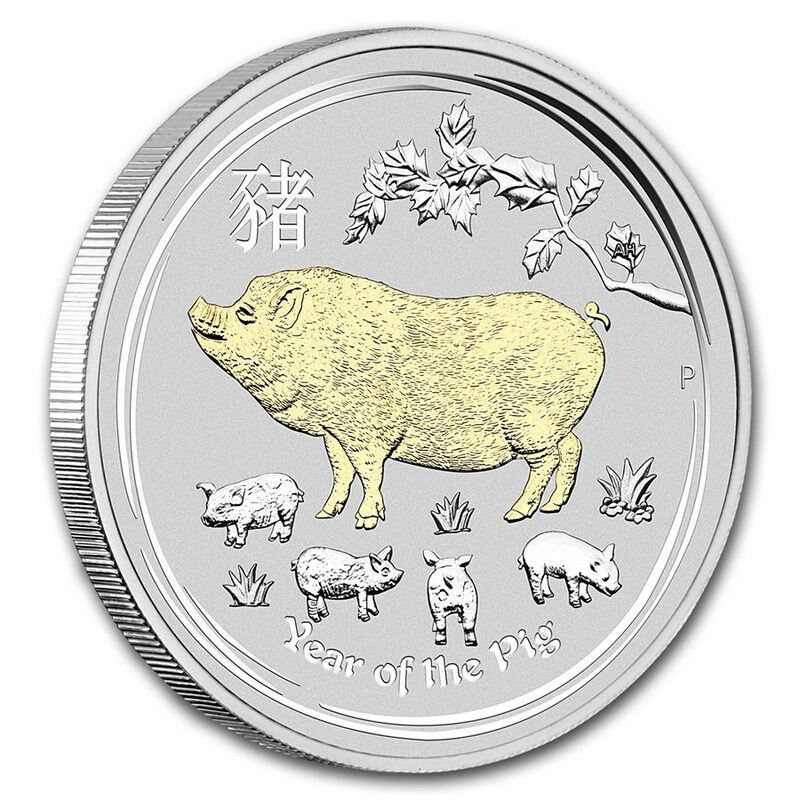 The Chinese character for ‘pig’ and the inscription ‘Year of the Pig’ appear in the design with The Perth Mint’s traditional ‘P’ mintmark. 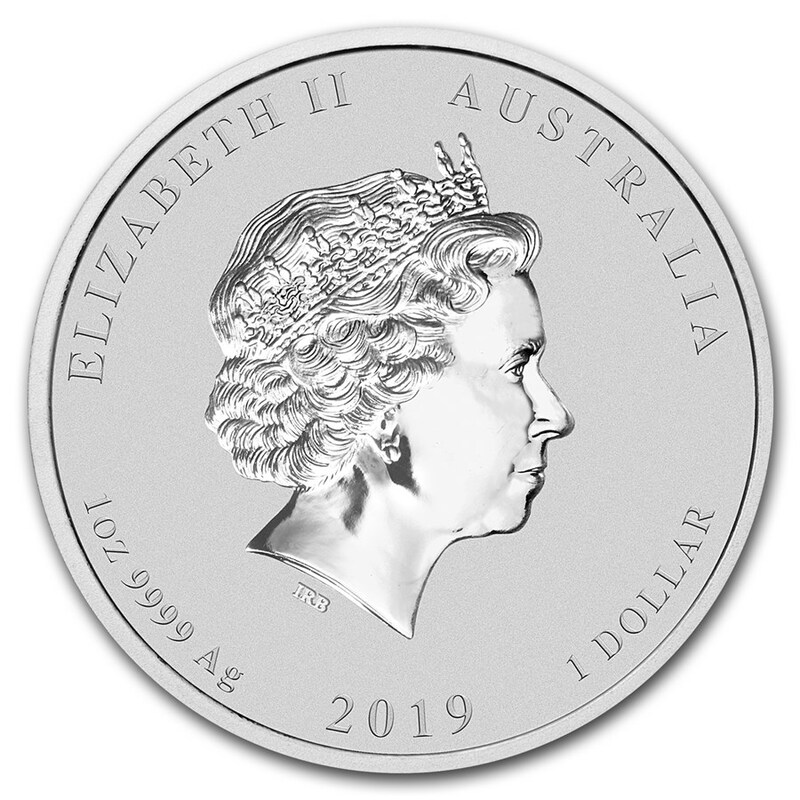 Sovereign coins backed by the Australian government. The four finishes included in this set demonstrate a stunning range of popular numismatic treatments. 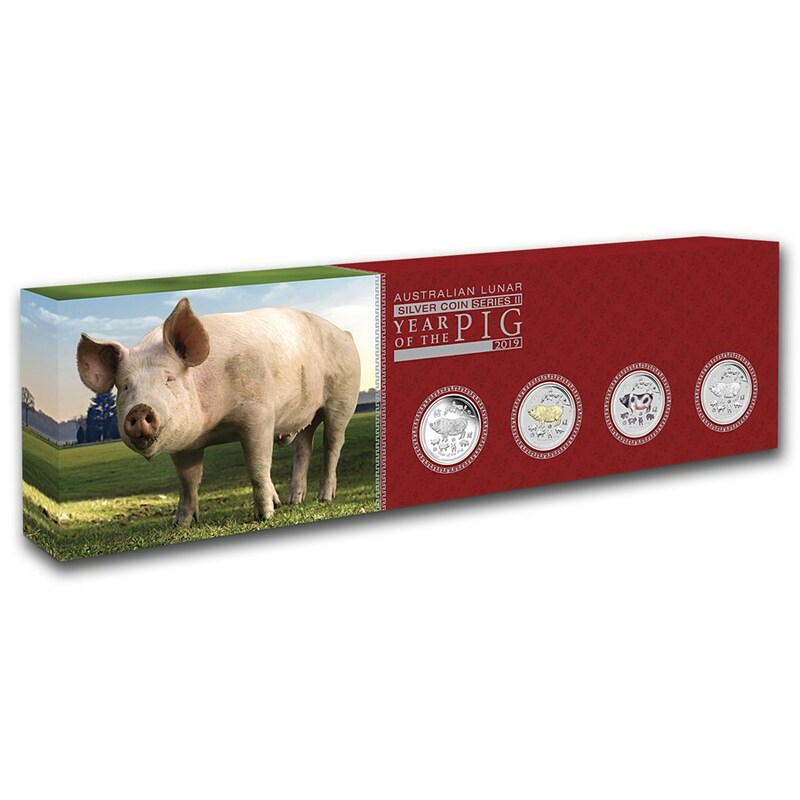 Add this spectacular 2019 Silver 4-Coin Year of the Pig Type Set to your cart today! Proof: The delicately frosted design appears on a mirrorlike polished table. Gilded: The gilded edition highlights the pig in 24 karat Gold. 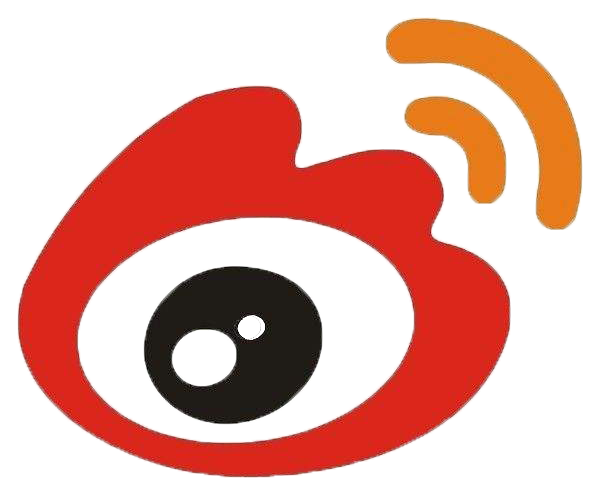 Colored: The colored edition depicts the pig and in vivid color. 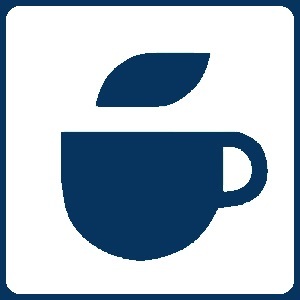 Bullion: The shiny design appears on a delicately frosted table.